Thank You, Vonnegut! Thank You, Doctrine Man!! Photo of cover and poem recently published in third annual issue of "So It Goes: the Literary Journal of the Kurt Vonnegut Memorial Library," which was organized around a theme of creative process. Kintsugi is the Japanese art of repairing ceramics with lacquered resin mixed with metallic powders. Originating in the 15th century, the practice celebrates an object’s history and imperfections, while also keeping it in service. Ashikaga Yoshimasa and Tom Albers are each real people, but only one was a citizen-soldier in the Iowa Army National Guard. At risk of sounding like that inscrutable "Thank U" song by Alanis Morrisette, I am thankful for a rewarding year of writing. My work continues on various research, writing, and goof-off projects related to the history of the U.S. 34th Infantry "Red Bull Division. Meanwhile, I grew more confident in my production of military-themed poetry (should that be "light verse about the light infantry"? ), and more aggressive in seeking venues for its publication. To paraphrase Alanis: "Thank you, India! Thank you, (war on?) terror! Thank you, disillusionment!" Writing and publishing poetry probably distracted me from larger career targets, but it also provided an outlet for exploring fragments that might otherwise have ended up unexplored. Receiving a coin from a former commander, for example. Or what it felt like to work in a Tactical Operations Center. It's amazing what sticks with you. It's amazing what comes back. And, it's fun to share. Just this year, I saw more than 12 poems published, in print and on-line. I benefited in this effort, I know, from a 2014 boomlet of venues seeking to publish veterans' lit. At one point, I counted a dozen journals and anthologies actively soliciting military-themed fiction, non-fiction, poetry, and more. Whenever possible, I tried to pass along news of these opportunities to my fellow mil-writers via the Red Bull Rising blog. I also tried to encourage other practitioners via on-line interviews (here and here), and via workshops and presentations. Last spring, I shared my publishing methods and insights at the Great Plains Writers' Conference, Brookings, S.D. and at Writing My Way Back Home, Cedar Rapids, Iowa. I'm looking forward to other such opportunities in 2015—including the Military Experience and the Arts Symposium in Lawton, Okla., May 14-17. Some venues for veterans' voices are well-established. Southeast Missouri State University, for example, recently published its third annual "Proud to Be" anthology. Editors have already issued a call for submissions toward a fourth volume. The dead-tree version of the Veterans Writing Project's literary journal "O-Dark-Thirty" is a joy that arrives quarterly to my mailbox (subscribe here! ), although you can also read its issues free on-line here. Other publications emerged, such as Line of Advance and The Pass In Review. Special themed issues popped up like 25-meter targets. 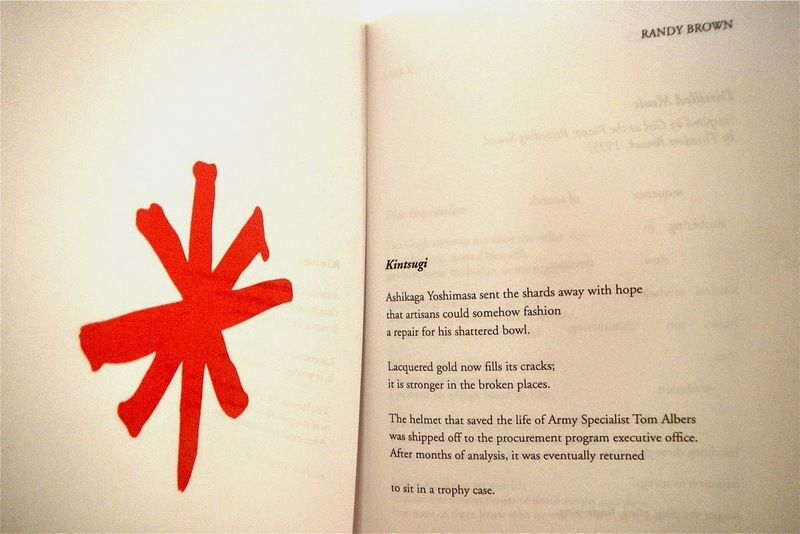 Scintilla magazine, for example, dedicated an entire issue to veterans' writing. And The Iowa Review continues its annual (?) Jeff Sharlet Memorial Award for writers who are veterans. Of course, the literary terrain is always shifting. Publications come and go. Funding, staffing, energy, and interest quickly become obstacles to a clockwork publication schedule. The Pass In Review, for example, went on hiatus after two issues. I'm told they're refitting and cross-leveling their intellectual ammunition for 2015. Rather than publish four separate journals, Military Experience and the Arts is consolidating its family of non-fiction, fiction, trauma-writing, and poetry journals under one cover, now titled "As You Were." The inaugural issue is here. Some military-writing sites, like Doonesbury's "The Sandbox," live on as on-line archives. Others, such as Milblogging.com, have left the net altogether. In this season of reflection, I am proud and humbled to have had my work appear in many of these publications. I am thankful for the hard work that writers and designers and editors invest in bringing these products to life. Moreover, I am thankful to be part of a larger community of veterans (and readers!) that seeks to encourage the expressions of others. Thank you for your words. Thank you for reading some of mine. In the meantime, have a safe and rewarding Thanksgiving. Remember to check on your buddies, remember to hug your kids. 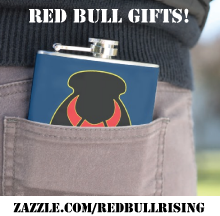 'Red Bull Rising' Blog Launches Zazzle Store! Last year, the Sherpa kids and I worked hard to develop a prototype Red Bull snowflake pattern. Actually, we'd started by making Darth Vader and Princess Leia snowflakes that we'd found on the Internet, and developed enough expertise to branch off on our own. The Force was with us. We posted the Red Bull result on the Red Bull Rising Facebook page, along with the tagline: "We're dreaming of a Red Bull Christmas." For the past couple of years, when we've executed a particular piece of military humor or snarky design, we've lacked the bandwidth for sharing it with others, more than just posting it on Facebook as some sort of mini-meme. 1. We managed to fit another couple of bulls in there this time. 2. This design might make a fun Christmas ornament, not only for the Sherpa family, but for you and yours as well. One thing led to another, and we started to experiment with the print-on-demand service Zazzle. We'd ordered other products through the company—mostly DoctrineMugs!! designed by the notorious web cartoonist DoctrineMan! !—and we were pleased with the quality. So we uploaded our Red Bull Rising snowflake design, as well as a new Red Bull take on that popular "Keep Calm and Carry On" poster from World War II Britain. We started with the basics. In addition to ornaments, we've prototyped some greeting cards, magnets, coffee mugs—even a candy dish! More products and designs will follow. Right now, however, you might say we're still in Beta mode. Or call it a "soft launch." Still, we're having fun learning yet another interface, and thought we'd share some of our early results. Take a look at our new on-line store. Feel free to offer feedback and suggestions. There's even a 20 to 60 percent sale on all Zazzle products until Fri., Nov. 21. Just use the coupon code "TISTHESEASON" when you place an order. Thanks, as always, for your continued readership and support. Keep calm this holiday season, and Attack! Attack! Attack! News releases and photography by 101st Airborne Division (Air Assault) public affairs soldiers describe and depict potential working environments for the 80 citizen-soldiers of the Iowa National Guard's 294th Area Support Medical Company (294th A.S.M.C. ), Washington, Iowa, which was notified earlier this week of a possible spring 2015 deployment to Liberia. More generally, the reports also help put into context the mobilization of 2,100 citizen-soldiers nationwide for Operation United Assistance, a mission supporting the containment of Ebola virus in West Africa. That mobilization includes the headquarters for the Minnesota National Guard's 34th Infantry "Red Bull" Division, based in Rosemount, Minn., which will replace the 101st Abn. Div. in country. The deployments are anticipated to last approximately 6 months, and will include 21-days of medical observation upon return from active-duty. Normally, for purposes of operational security, deployed Army photographers are trained to crop in tight and focus on people, which limits visual details about the surrounding environment or area of operations. The focus of recent Army images and messages, however, has been on increasing the global public's confidence in the medical facilities, personnel, and resources being put on the ground. In their respective news releases, for example, Iowa and Minnesota National Guard spokespersons took pains to emphasize that National Guard personnel would not be treating residents of West African nations. Specifically, the Iowa medical unit would provide administration and care to U.S. and coalition medical workers who themselves may have contracted Ebola, in a setting such as the one-of-a-kind 25-bed "Monrovia Medical Unit" (M.M.U.) described in the Army news release printed in its entirety below. 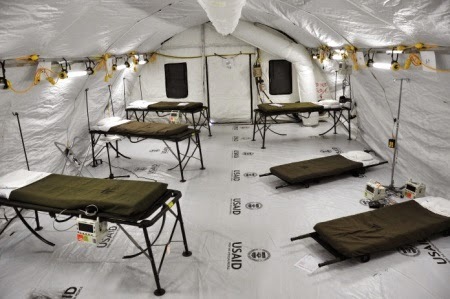 The 12-tent facility features an open-air reception area, a low-risk zone for medical support and healthcare workers, and specified areas for treating "suspected" and "confirmed" Ebola cases. The 25-bed MMU is a unique [Ebola Treatment Unit (E.T.U.)] built specifically to care for medical workers who have become infected with Ebola while treating patients. 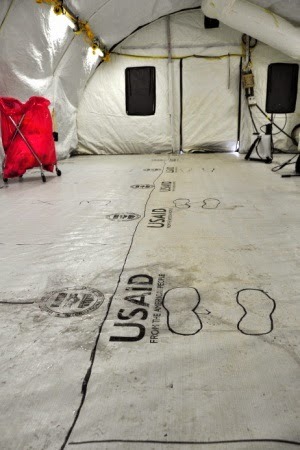 United Assistance is a Department of Defense operation to provide logistics, training and engineering support to U.S. Agency for International Development-led efforts to contain the Ebola virus outbreak in West African nations. 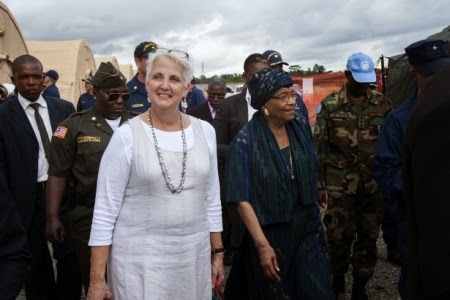 Recent Army news coverage has also featured photography of the Liberian President Ellen Johnson Sirleaf and U.S. Ambassador to Liberia Deborah Malac, who toured the Monrovia Medical Unit prior to its being placed into service. The country of Liberia has its roots in American history. Starting in 1820, the country was colonized by freed slaves. The Republic of Liberia was established in 1847. Its capital Monrovia, takes its name from the James Monroe, the fifth U.S. president. The country's red-and-white-striped flag is also a persistent symbol of the historical connections between the United States and Liberia. MONROVIA, Liberia—The Monrovia Medical Unit (M.M.U. ), an Ebola treatment unit constructed specifically for the treatment of medical workers who were infected while caring for Ebola patients, is scheduled to open Nov. 8, located about 30 miles outside Monrovia, Liberia. "The Monrovia Medical Unit, otherwise known as an MMU, is different than an Ebola treatment unit—E.T.U.—because our main purpose is to give hope to doctors and nurses as we will be treating any suspected or infected cases that happen around West Africa," said U.S. Public Health Service Lt. Shane Deckert, the MMU facility engineer. No other facility like this exists, said Lt. Col. Lee Hicks, the Joint Forces Command–United Assistance command engineer. "If an aide worker gets sick, they bring them to the MMU to get taken care of by the U.S. Public Health Service," said Hicks. "It’s an incentive for health care workers to go work in an ETU, knowing that if they get sick, they’ll be taken care of." The 25-bed facility was constructed from the ground up by a team of Navy Seabees, soldiers and airmen from Joint Forces Command—United Assistance and will be operated by personnel from the U.S. Public Health Service, said hicks. Before arriving to Liberia to help construct and run the MMU, medical personnel from the [U.S. Public Health Service (U.S.P.H.S. )], contacted other treatment facilities to compile and absorb as much information on best practices for ETUs, said Cmdr. Tom Janisko, a physician’s assistant with USPHS who will be working in preventative medicine there. Once on the ground in Liberia, the USPHS team trained extensively before doing rounds at an active ETU, he said. The MMU compound is separated into two—one side is the low-risk zone for medical workers and support staff; the other side is the high-risk zone for suspected and infected patients, he said. The structure is comprised of 12 tents, four that make up an administrative area for staff members and eight that make up three wards for patients and other necessary services, said Deckert. The administrative tents are where all the behind-the-scenes work happens—the ordering of personal protective gear, scheduling, processing of paperwork, eating meals. The high-risk zone is where the patients reside and receive treatment. Because of the contagious nature of the disease, the two halves do not connect in any way. "The most acute ward would be for the patients who have Ebola," said Janisko. This is the confirmed ward. The other two wards are the suspected and a flex ward that will be used as needed, said Janisko. Patients who are suspected to have Ebola will be cared for in the suspected ward while they wait for their blood tests to come back from the on-site laboratory. "There’s nothing else like the MMU in Liberia," said Hicks. "It has everything to take care of folks who may have Ebola or do have Ebola and help them recover from that deadly virus. It’s the first time it’s ever been built like this and used in this type of fashion." Along with the laboratory, there is a pharmacy, behavioral health section, and a patient reception area on the grounds as well, said Janisko. Restrooms and showers are located behind the wards. The reception area is unlike most in that it is outdoors. The patients speak to their friends and family members through a windowless structure that is six feet away from a similar structure on the other side of the compound’s fence. Studies have shown that when Ebola is emitted from a patient due to a sneeze or spittle from a cough, it dies before traveling approximately a meter, said Janisko. The entire fenced-in compound is nearly self-contained, needing only resupply of water, fuel and food, said Deckert. Fuel supplies two large generators that power the electricity and one small generator that powers the perimeter lighting. The water is for cleaning and decontaminating personnel and equipment. Every detail was thought out, said Deckert. The complex is built on a slope so that any infectious materials or fluids would drain away from the safe zone in case of heavy rainfall. There’s also an incinerator on site to dispose of used personal protective equipment so that no trace of the virus leaves the compound, said Deckert. More than 700 citizen-soldiers wearing the 34th Infantry "Red Bull" Division shoulder patch will deploy to support humanitarian relief efforts in Liberia in Spring 2015, according to a Nov. 16 news release from the Minnesota National Guard. The 6-month mobilization is part of "Operation United Assistance." Members of the Rosemount, Minn-based division will provide command and control of U.S. military forces deployed as part of United States Agency for International Development's (U.S.A.I.D.) efforts to contain outbreaks of Ebola virus in that country. The announcement comes just days after U.S. Department of Defense Secretary Chuck Hagel signed an order authorized the mobilization of 2,100 U.S. National Guard and reserve troops for Operation United Assistance. "Our mission will be to coordinate all of the Department of Defense resources in Liberia to support USAID and the government of Liberia to contain the Ebola virus, and ultimately save lives," said Army Maj. Gen. Rick Nash, the adjutant general of the Minnesota National Guard. Nash himself is a former commander of the division. "And importantly for the Liberian people," Nash continued, "the Minnesota National Guard presence will provide confidence that something can and will be done to stop the spread of disease." In Iowa, approximately 80 citizen-soldiers of the Washington-based 294th Area Support Medical Company (294th A.S.M.C) have also been notified of possible deployment, according to a Nov. 16 news release from the Iowa National Guard. The unit is part of Iowa's 67th Troop Command, and wear a "Hawkeye" shoulder patch with origins in 34th Inf. Div. history. According to Iowa National Guard officials, the 294th ASMC provides full-spectrum medical support operations for a designated area of operations, including casualty triage, basic medical treatment and sustainment of life, and transport of injured and sick personnel. The unit will also deploy for six months, during which time it will provide direct patient care to U.S. Department of Defense and coalition personnel only. In Minnesota, officials are taking similar pains to emphasize that Red Bull soldiers will not treat Ebola patients. The 34th Inf. Div. headquarters will relieve the Fort Campbell, Kentucky-based 101st Airborne Division, known as the "Screaming Eagle." The Iowa National Guard's 2nd Brigade Combat Team, 34th Inf. Div. (2-34th BCT) served under the 101s Airborne Div. during a 2010-2011 deployment to Afghanistan. 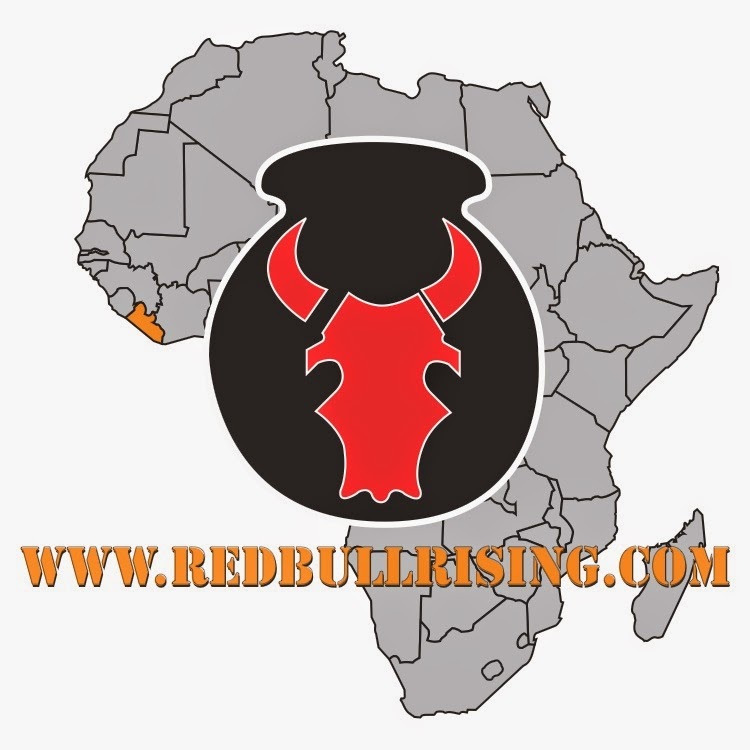 The Red Bull soldiers are anticipated to depart Minnesota in March 2015 for pre-mobilization training before deploying to Monrovia, Liberia in April 2015 to assume command from the 101st Airborne Division (Air Assault) (101st Abn. Div. ), according to the news release. All troops deploying to West Africa will receive specific medical training—developed in conjunction with U.S. Army Public Health Command—and utilize specialized personal protective equipment to ensure they are protected from exposure. "Preserving the health of our soldiers is the highest priority for this mission," said Army Maj. Gen. Neal Loidolt, commanding general of the 34th Inf. Div. "Extra steps are being taken to protect the soldiers' health, including personnel protective equipment and educating the soldiers about the diseases prevalent in the area." "This mission highlights the versatility of the National Guard," said Loidolt. "In addition to being deployed for domestic emergencies in Minnesota, many of these Red Bull soldiers have been deployed for peacekeeping in Bosnia and Kosovo; and warfighting in Iraq and Afghanistan. I am confident that our citizen-soldiers are up to the task of providing humanitarian aid in Western Africa." Minnesota's 34th Inf. Div. headquarters previously deployed to Iraq under the command of Maj. Gen. Nash, where the unit provided command and control of Multi-National Division South. Iowa's 294th ASMC previously deployed in 2009 in support of Operation Iraqi Freedom, where the unit provided full spectrum medical support at the Taji Theater Internment Facility Reintegration Center (T.I.F.R.C.). A new play recreates what life was like in small Midwestern towns during the World War II years using stories from interviews, old letters, family lore, and wartime editions of The Columbus (Iowa) Gazette. Written by small town natives Rick Williams and Ron Clark, "A Grateful Nation" will premiere as a script-in-hand performance for two shows only at Riverside Theatre, 213 N. Gilbert Street, Iowa City, Iowa on Sat., Nov. 15, 7:30 p.m. and Sun., Nov. 16 at 2:00 p.m.
Tickets are $20 for adults, $15 for Riverdog season pass holders. Veterans, military personnel and their immediate family receive a 20 percent discount off of regular adult-priced tickets as part of Riverside’s Blue Star Theatre Program. Click here for more information, or call the box office at: 319.338.7672. The events and anecdotes in the play are centered on stories and people from Columbus Junction, Iowa—a town where authors Williams and Clark grew up, about 35 miles southeast of Iowa City . "Though the majority of the stories we tell are about people in our town, anyone from any town could do the research and uncover similar tales." says Clark, who is also directing the play. Adds Williams, "It would be a stretch to say these stories are universal, but they are certainly national. Every American living in the early 1940s was affected by the events of the war--and so were those of us who came after them." Professional actors reading from the script will each play multiple characters. The cast includes Jody Hovland, Sean DeMers, Jack Sharkey, and Katherine Slaven. Drew Bielinski will complete the show with lighting and projection design. Clark and Williams were childhood classmates in Columbus Junction. They eventually migrated to Iowa City, where they have each lived for more than 30 years. Family obligations and work commitments limited their time together. About a year ago, Williams and Clark were inspired to collaborate on "A Grateful Nation." Writing for theater is nothing new for Clark. 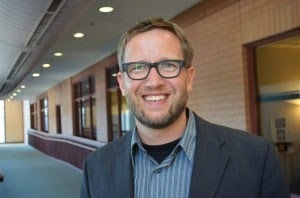 He and his wife, Jody Hovland are two of the co-founders of Riverside Theatre. Ron has authored three previous plays, including two about small town Iowa life. Williams is a newcomer to playwriting but is a historian with a journalism background, working as a newspaper reporter before becoming an editor for ACT, where he spent 29 years before retiring. There will be post-performance talkbacks after both shows with the writers and actors. 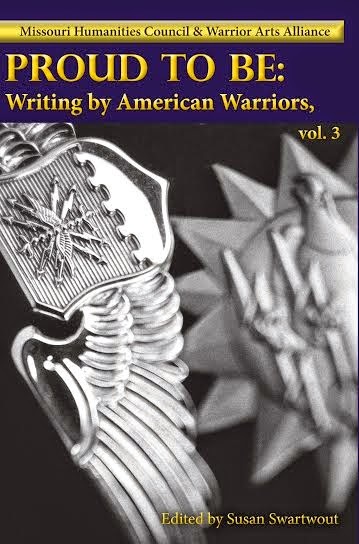 A third volume of the "Proud to Be: Writing by American Warriors" anthology series, published annually by Southeast Missouri State University Press, is released today, Tues., Nov. 11, 2014. The cover photo features an Air Force blue color palette and qualification badges. Cover photo is by Jay Harden. 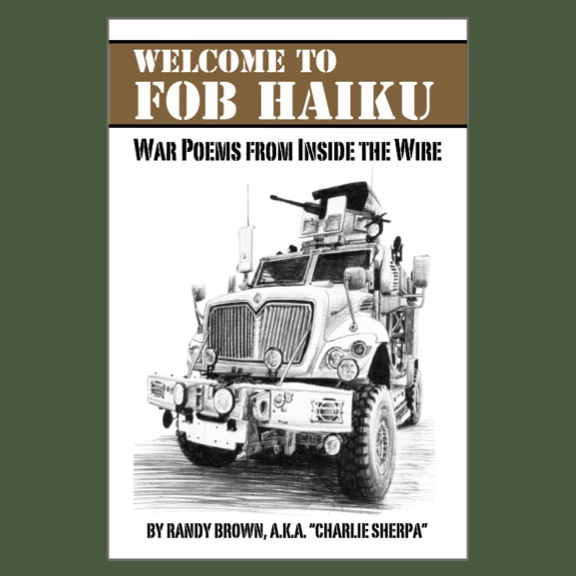 The anthology features the fiction, non-fiction, poetry, and photography of more than 60 military writers. The new books may be ordered through the press here, or via Amazon here . Editors of the series have already opened submissions for a fourth volume of military-themed fiction, non-fiction, poetry, essays, oral histories, and photography. Deadline is June 1, 2015. The project is open to all military personnel, veterans, and family members. According to the submissions notice, entrants can submit to a contest in which each category carries a first-prize of $250, or submit to the anthology alone. All entries will be considered for the anthology. There is no entry fee to the contest or publication. Through the efforts of the Warriors Arts Alliance, the Missouri Humanities Council, and Southeast Missouri State University Press, the first "Proud to Be" volume was published in November 2012. The second was published last December. 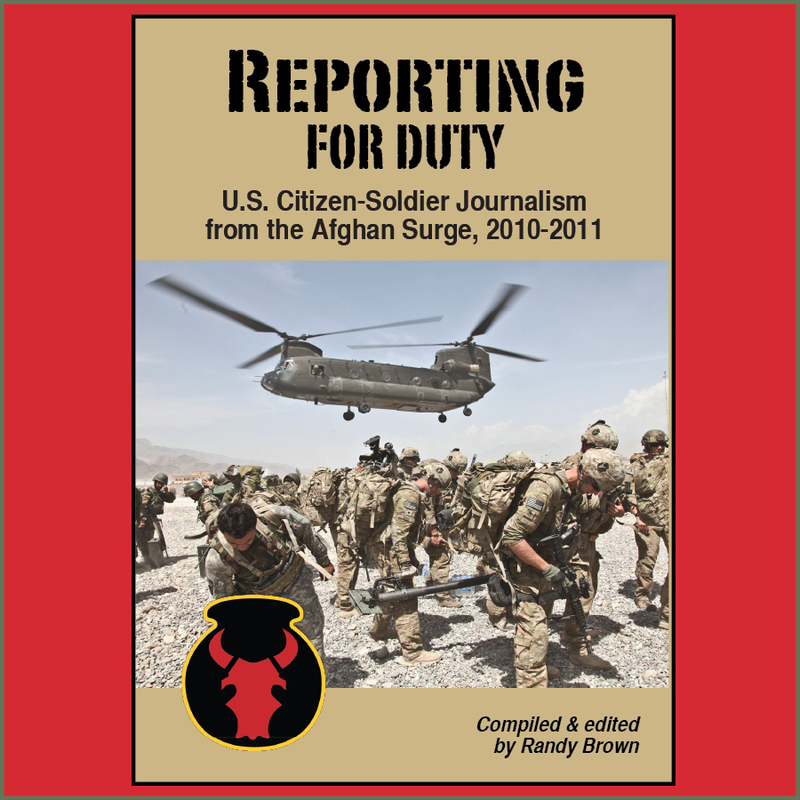 "[T]his series of anthologies preserves and shares the perspectives of our military and veterans of all conflicts and of their families," reads the Southeast Missouri State University Press contest page. "It is not only an outlet for artistic expression but also a document of the unique aspects of wartime in our nation’s history." For a 2012 Red Bull Rising interview with "Proud to Be" editor Susan Swartout, click here. Entries must be sent electronically as Microsoft Word files (.doc or .docx). Keep poems in one document (with 1st poem as title). Put your name and contact info on first page and nowhere else on the manuscript. Limit one submission in each category per person. Fiction, essay, or interview: 5,000-word limit. Photography: up to 3 good-quality photos (will be printed in the book as black and white). Submissions exceeding the limits will be disqualified. Include a biography of 75 words or less with each submission. Winners and contributors will be notified by Nov. 1, 2015. The Red Bull Rising blog is a proud supporter of a nationwide arts and writing contest that is seeking short fiction, non-fiction, poetry, and art by young people, military service members and veterans, and the general public. The theme is human-animal bonds and relationships. Deadline is Jan. 5, 2015. There is a monetary award of $100 in each category/sub-category. The contest is underwritten by Central Iowa non-profit Paws & Effect, and will be the centerpiece of the organization's annual "One Heart, Four Paws" Valentine's Day celebration of the connections among humans and animals. Established in 2006, the Des Moines, Iowa-based non-profit is a 501(c)(3) non-profit organization that raises, trains, and places service dogs with military veterans and children diagnosed with medical needs. The organization also registers therapy animals through Pet Partners, and hosts dog-agility events. Editors are seeking previously unpublished flash-fiction, non-fiction, and poetry on the themes illustrating human-animal connections. Recognition at the Feb. 13, 2015 "One Heart, Four Paws" gala event. A monetary award of $100. Publication of their work(s) in a commemorative broadsheet, chapbook, or other physical object, to be distributed at the event. All submitted works will also be considered for inclusion in a commemorative anthology, to be published later in 2015. Submit via on-line tool at here at Submittable.com. There is a $15 submission fee. All prose (including fiction, non-fiction, essay, and memoir): 750-word limit. Include a biography of 75 words or less with each submission. Past and present members of all branches, services, and nationalities may submit to the Military/Veteran category. Winners and contributors will be notified by Feb. 1, 2015. This project acquires first North American and anthology rights. Judges' decisions are final. Judges also reserve the rights to make additional awards in each category/subcategory, and to decline making awards within one or more categories/subcategories. Working with other community partners Nov. 7-8, the non-profit Kurt Vonnegut Memorial Library (K.V.M.L. ), Indianapolis, Ind. 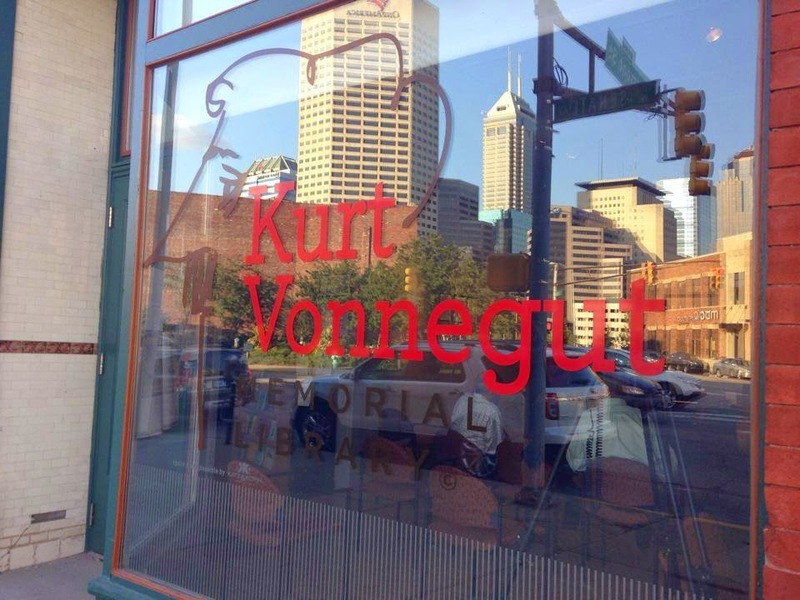 will conduct and participate in VonnegutFest 2014, an annual celebration of the writer, artist, and Indianapolis-born Kurt Vonnegut. Vonnegut was notably born on Armistice Day—what would later become Veterans Day—and his experiences as a prisoner of war in World War II Dresden served as the foundation for his satirical 1969 novel "Slaughterhouse Five." As a part of the Spirit and Place Festival, the Kurt Vonnegut Memorial Library presents "Veterans Reclaim Armistice Day". At 2 p.m., the event will kick off with an Art Resource Fair in the lobby of Central Library [40 E. St. Clair St.
Indianapolis]. From 3-4 p.m., there will be a panel discussion, moderated by National Public Radio Iraq War Correspondant Kelly McKevers, featuring Magnus Johnson of Elder Heart, Olivia Cobiskey, and Director of the Indiana Department of Veteran Affairs Jim Brown. The Art Resource Fair will remain open during the panel discussion. Following the panel discussion, Central library will be sponsoring Career Services for Veterans. From 12 noon to 1:30 p.m. and located at the Kurt Vonnegut Memorial Library, 340 N Senate Ave., Indianapolis, the KVML will celebrate the release of its third annual edition of its literary journal, "So It Goes." Contributors will read from their work, and an art exhibit titled "Billy Pilgrim's War Chest" will also be available for viewing. Visit the KVML website here. For a KVML Facebook page, click here. Others had so much more to write about. I remember envying Andy Rooney, who jumped into print at that time; I didn’t know him, but I think he was the first guy to publish his war story after the war; it was called Air Gunner. Hell, I never had any classy adventure like that. But every so often I would meet a European and we would be talking about the war and I would say I was in Dresden; he’d be astonished that I’d been there, and he’d always want to know more. Then a book by David Irving was published about Dresden, saying it was the largest massacre in European history. I said, By God, I saw something after all! I would try to write my war story, whether it was interesting or not, and try to make something out of it. "Aliens, Time Travel, and Dresden - 'Slaughterhouse Five' Part I: Crash Course Literature 212"
"PTSD and Alien Abduction - 'Slaughterhouse Five' Part 2: Crash Course Literature 213"
A 26-minute documentary depicting the travels of present-day members of the 34th Infantry "Red Bull" Division on a tour of that unit's World War II battlefields in Italy will debut on Minnesota public television channels Fri., Nov. 7, at 9 p.m. Central Time. For a 25-second trailer video, click here. 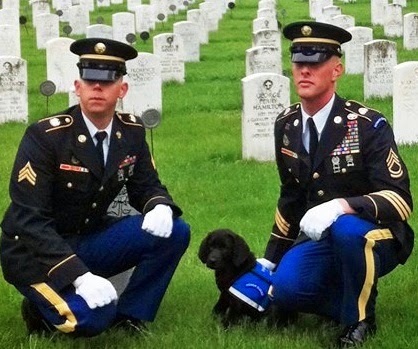 Produced by Twin Cities Public Television producer Luke Heikkila, "Through a Soldier's Eyes" is part of an ongoing commitment by the station to tell the stories of Minnesota service members, families, and veterans. Heikkila embedded with Minnesota troops in Iraq in 2009, and in Afghanistan in 2012. The 34th Inf. Div. was originally comprised of citizen-soldiers from Iowa, Minnesota, and North and South Dakota. The unit's distinctive "Red Bull" patch is still worn by National Guard troops in Minnesota and Iowa. The project was previously mentioned on the Red Bull Rising blog. Earlier in 2014, Heikkila followed Staff Sgt. Dillon Jennings and other current members of the 34th Inf. Div. on a trip to Italy. The group toured battle sites such as Anzio, Monte Cassino, Volturno River, Hill 810, and others. Jenning's great-grandfather, Bernard Bonnema, also served in the 133rd Infantry Regiment, one of the "Red Bull" units deployed to World War II Italy. 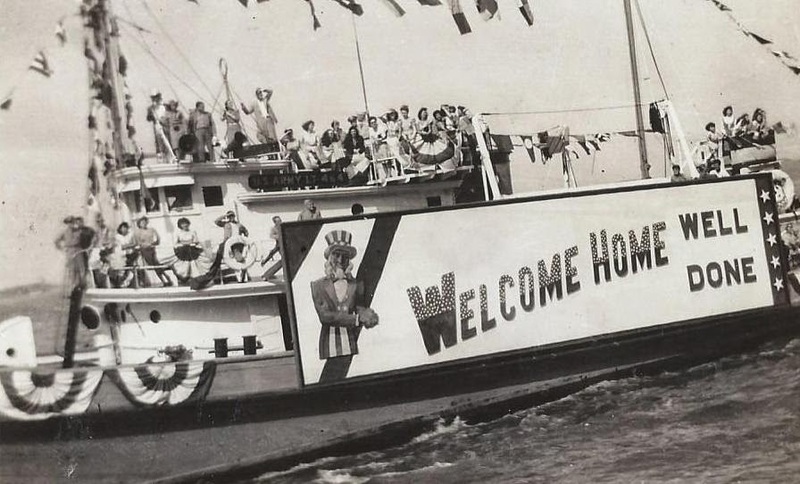 A veteran of two overseas deployments himself, Jennings didn't make the connection between his own service and that of his great-grandfather, until after participating in the record-breaking 22-month deployment of 1st Brigade, 34th Infantry Division (1-34th Bde.) to Iraq in 2006-2007. Air-times and channels for "Through a Soldier's Eyes" are listed here, as well as below. The program will also be made available on-line veterans.tpt.org, and via the PBS World Channel. Fri., Nov. 7 @ 9:00 p.m. Sat., Nov 8 @ 3:00 a.m. Sun., Nov. 9 @ 4:00 p.m. Sun., Nov. 9 @ 7:30 a.m. Sun., Nov. 16 @ 1:30 a.m. Sun., Nov. 16 @ 7:30 a.m. Sun., Nov 16 @ 11:30 a.m.